The Beadery and Toner Plastics also produces a smaller loom called he HandyLoom. The loom itself has 4 pegs and is molded from a single piece of plastic. The kit includes the loom, the pick tool, 600 elastics, and 24 clips. 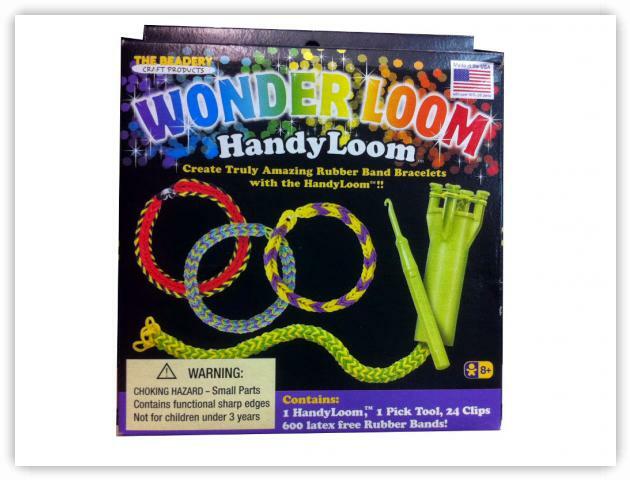 The HandyLoom is available through Wal-Mart.